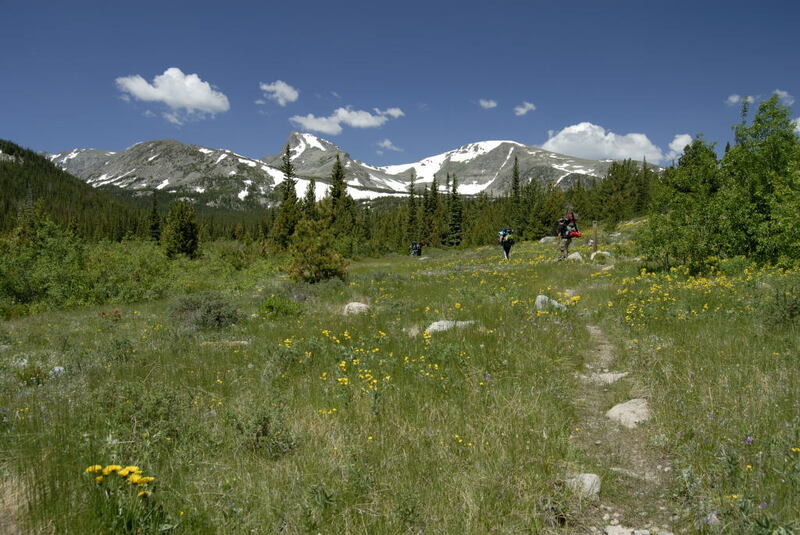 The State of Colorado has three sub-species of native cutthroat trout. The Colorado River cutthroat trout, the Rio Grande cutthroat trout, and Colorado’s state fish: The Greenback cutthroat trout. The Continental Divide separates the Colorado River cuts from the Greenbacks, with Colorado River cuts to the west, and Greenbacks to the east. 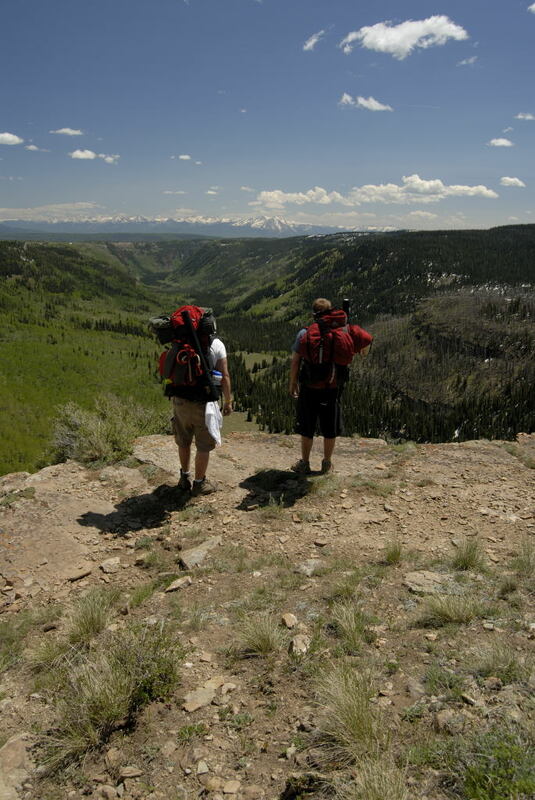 The Rio Grande cuts are distributed throughout the Rio Grande river basin in South Central Colorado. 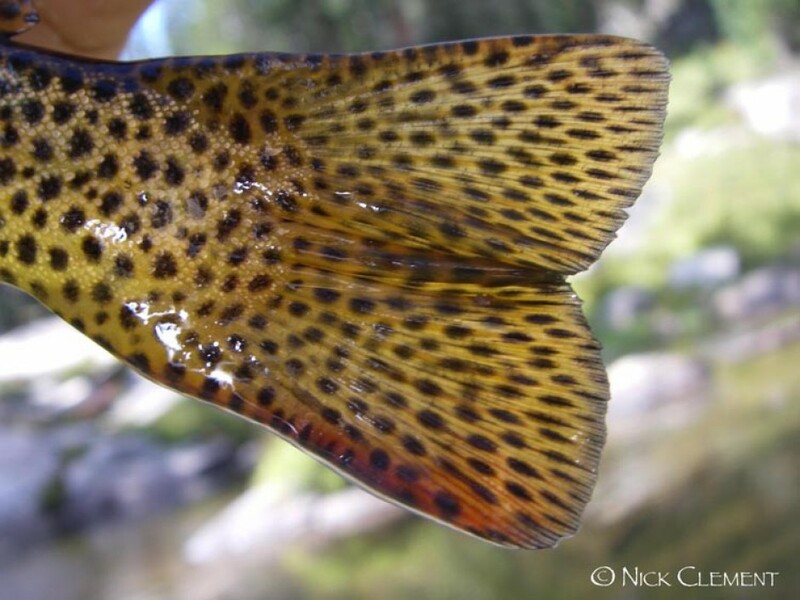 All three sub-species can have different shades of yellow red and green throughout their bodies with a red mark on their throat (hence the name “cutthroat”) but the defining characteristic that makes it easy separate the cutthroats from other trout is their black spots. 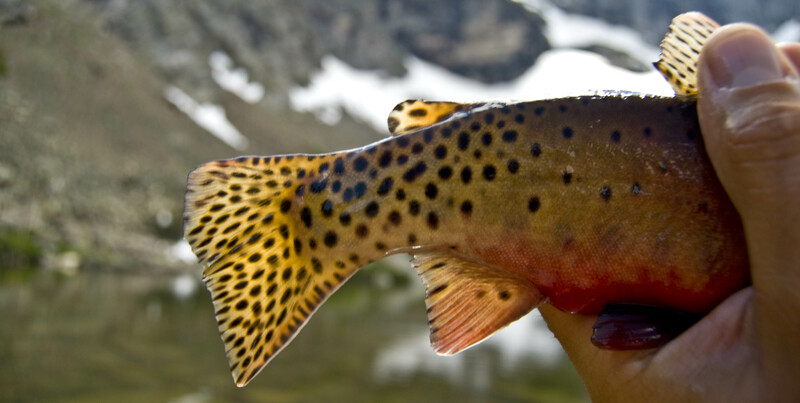 Pure cutthroats have a high concentration of black spots on their tail while the spots lessen towards their head where they have very few or none at all. 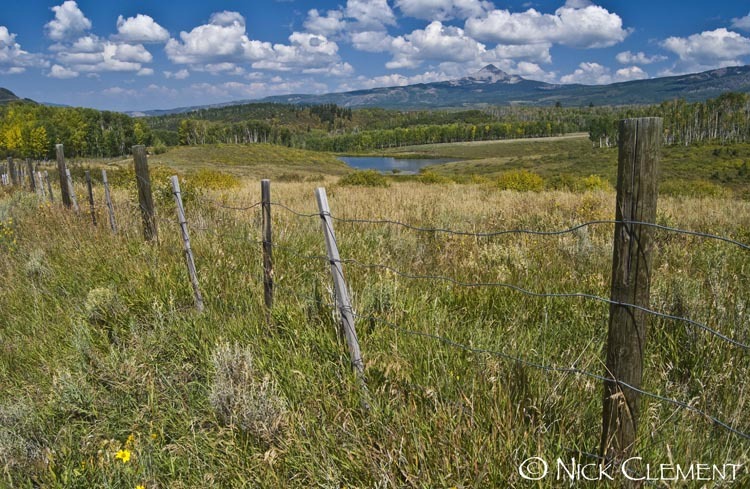 Due to the introduction of nonnative salmonoids like rainbow trout, brown trout and brook trout over the last century cutthroats have been displaced from their historical ranges. They typically won’t be found in some of the popular rivers and lakes around the state. This means cutthroats are widespread throughout smaller high elevation creeks and lakes (Thanks to Cutthroat Trout Conservation Programs) Which makes going to these places that much more special. 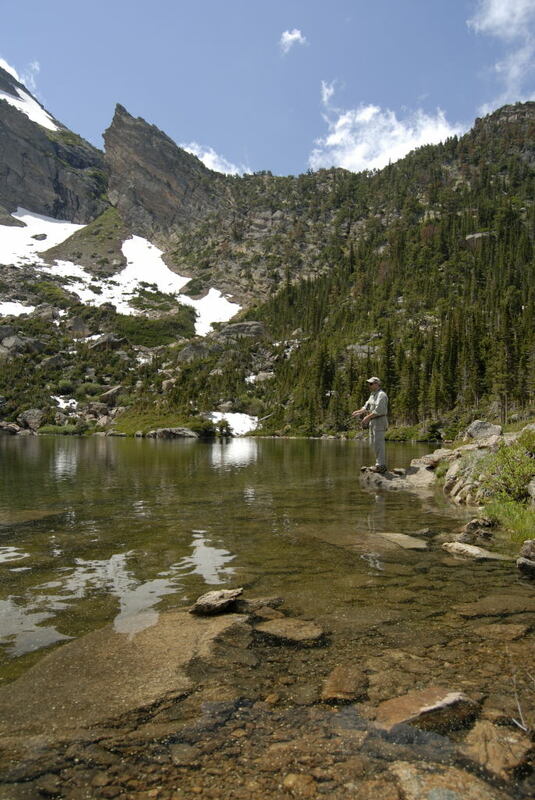 Ice off at high mountain lakes typically comes in late May/early June and not till late June in some places. 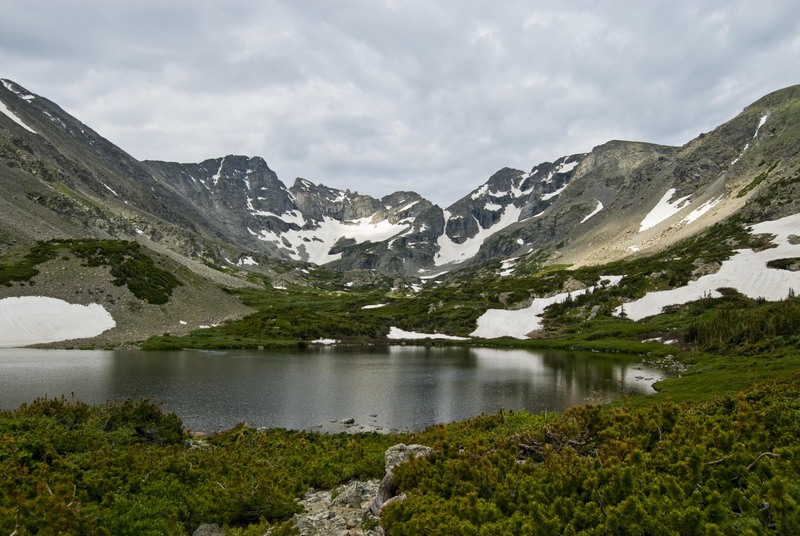 So get geared up with a lightweight backpack, sleeping bag and tent, grab your rod and get excited for a high mountain lake trip into Colorado’s high country.